Today while we were waiting for our movie showtime, we would like to have some dessert. 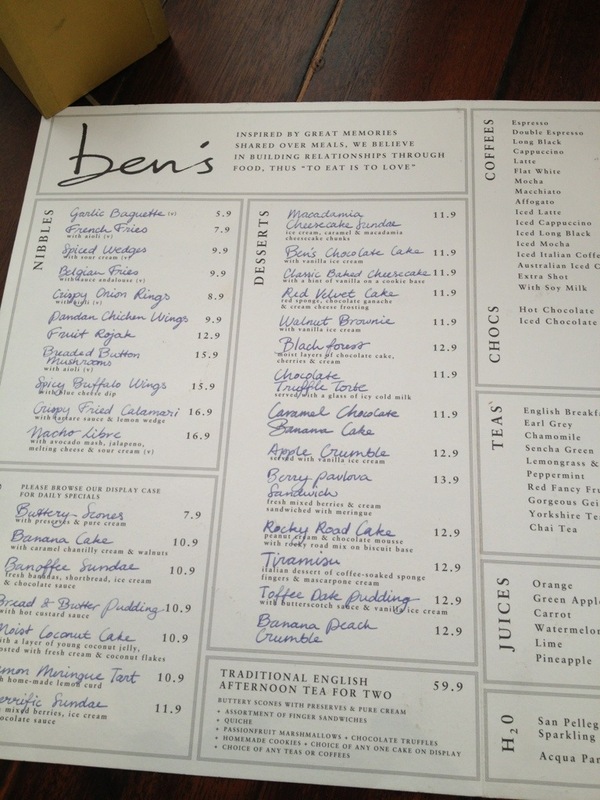 So we went to Ben’s to have a pavlova there. This restaurant is located on the top floor of Pavillion Mall, and they have two section, one is non-smoking room, and the other one is outdoor which has a KL street view from the top of Pavillion Mall. 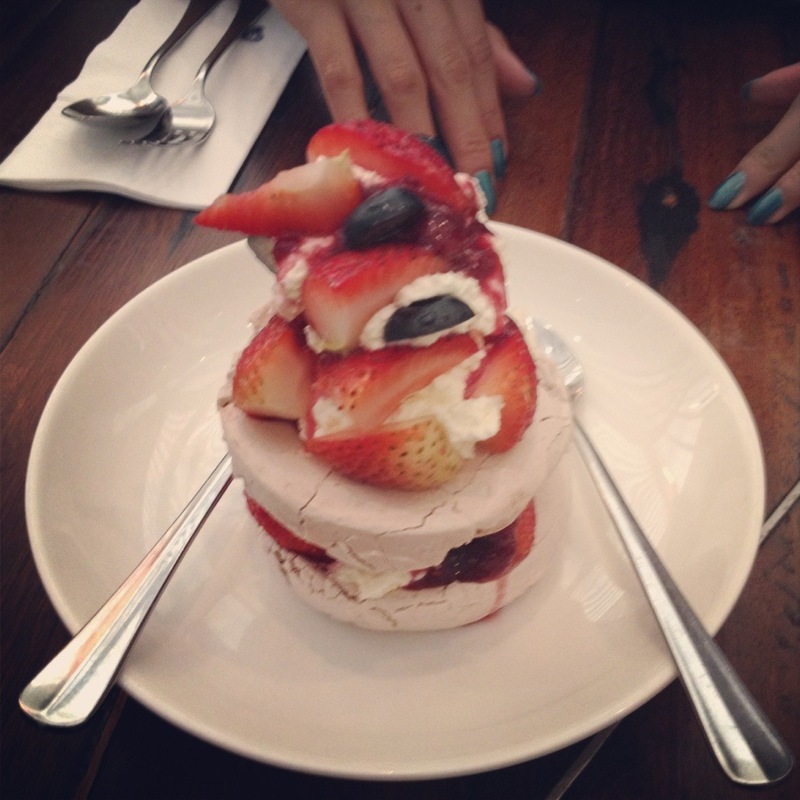 The pavlova was nice, but the meringe is quite sticky to my teeth, but overall it’s a nice dessert. 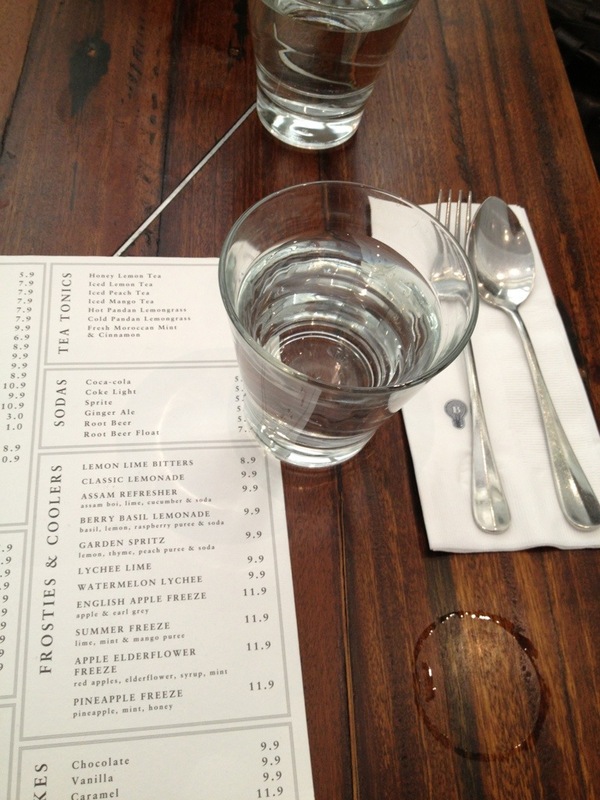 Btw, for every customer they gave a complimentary warm water with lemon, so eventough you’re not ordering any drink, you don’t get thirsty in here after you eat a sweet stuff. The price wasn’t that expensive actually, for one pavlova, it only costs RM13.9 before tax. But afterall, it’s worth to give it a try.